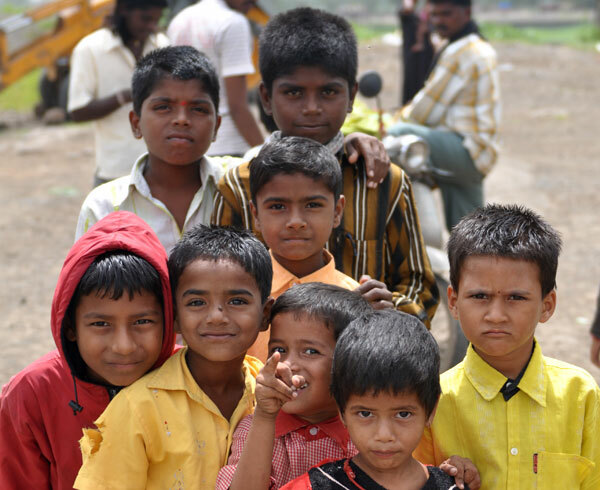 We have just got back from the trip to India, we spent there two weeks at the beginning of August. 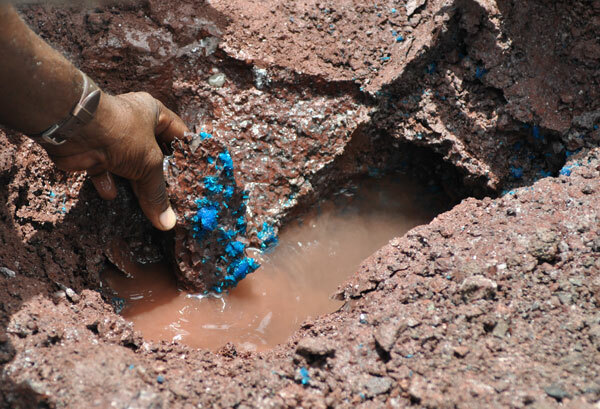 It was the rainy season which we thought might make it more difficoult for to visits the quarries and find any good minerals but fortunately it turned out that it was not a problem - some quarries were not working because they were flooded but the rest abounded in minerals. We landed in Bombay (Mumbay) in the middle of night and the next day we were already looking for some quarries in Bombay (Malad). 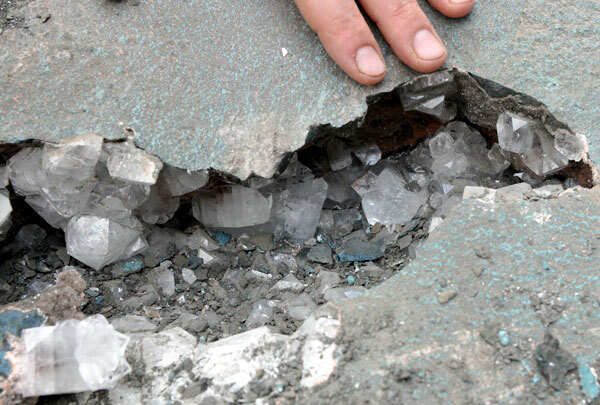 They used to provide a lot of good quality phrenites, gyrolites okenites and laumintotes but at the moment most of them is closed, there are constructions going on in the middle of them and to some you are not even allowed to enter. The same day we set off to Lonavala - it is a little (as for India) town with thousands of shops with traditional indian sweets and of course with quarries around. 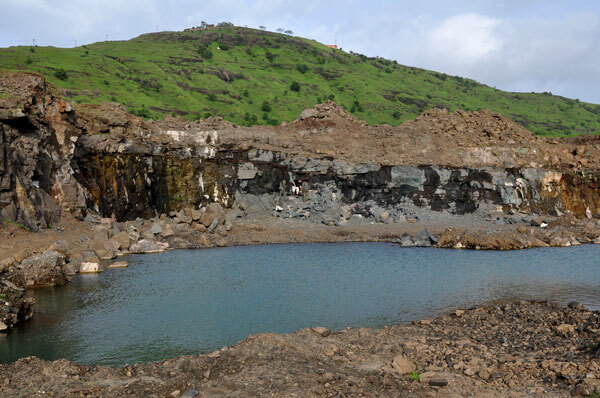 We visited the Lonavala quarry the same day and the next one too (that is the quarry that we described as the second locality for cavansites in India - see http://www.spiriferminerals.com/36,The-Lonavala-quarry--India----Mineralogical-Record.html). 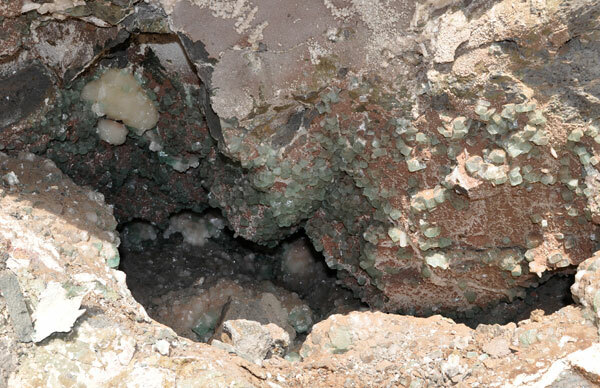 We were there during blasting and we had an opportunity see a few interesting geodes one of them was very nice with green apophylite, stiulbite and mesolite (see on the pictures below). 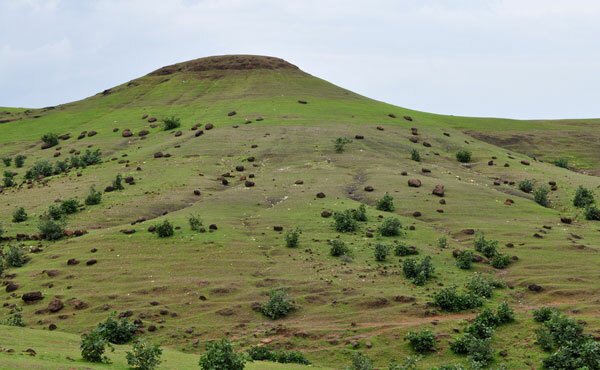 We visited also Wadgaon quarry nearby and a touristic attraction - Karla caves. Later on we moved to Puna - where the epidemy of swine flu have just broke out and all neraly everybody in this incredibly crowded city wore a surgical masks which looked quite unique. We met there our very good friend Javed Khan, he is also a dealer and was our guide and company for the rest of our trip. 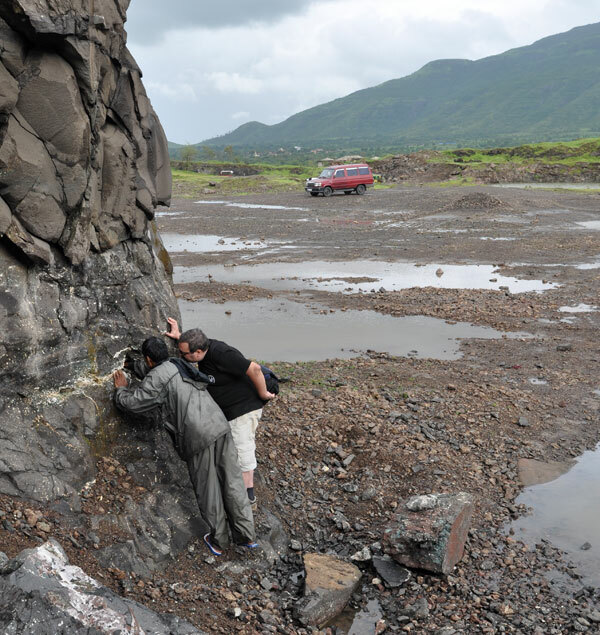 In the Puna neigbourhood we visited Wagholi where we saw cavansites in situ extracted by the miners. 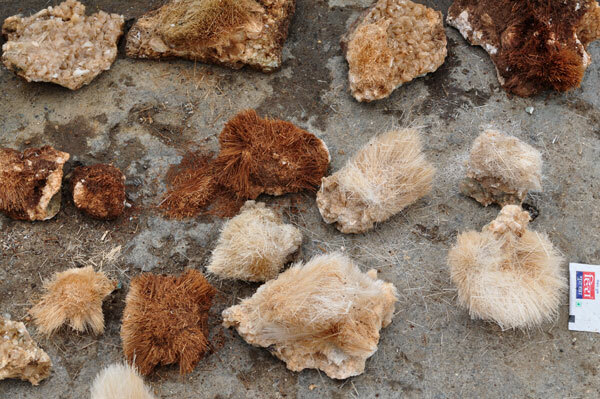 We bought there a lot of very good quality specimens. 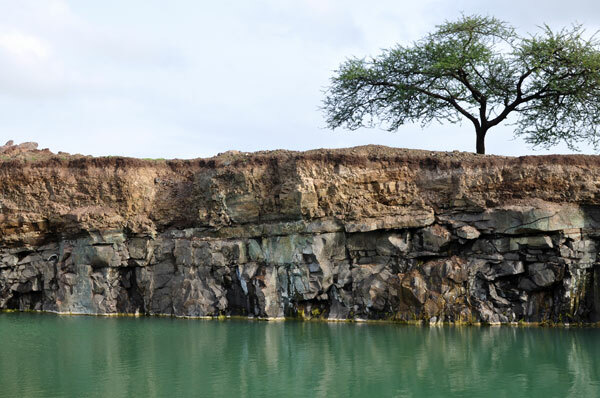 After that we made our way towards Ajanta visiting Aurangabad`s quarries on the way, they are known because of heulandite, stilbite and scolecite that occur there. 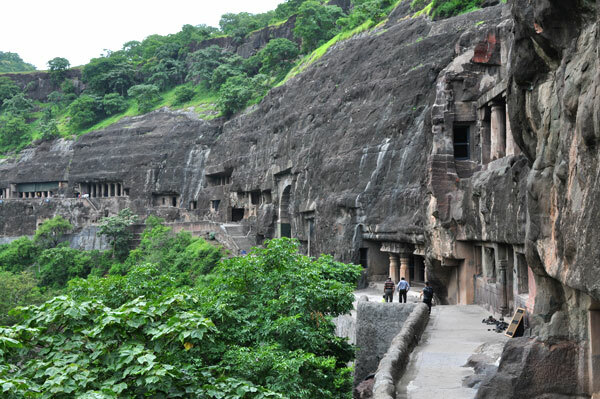 In Ajanta apart from visiting the dealers homes we saw also the famous Ajanta caves - they are rock-cut cave monuments dating from the second century built in the forest by buddist. 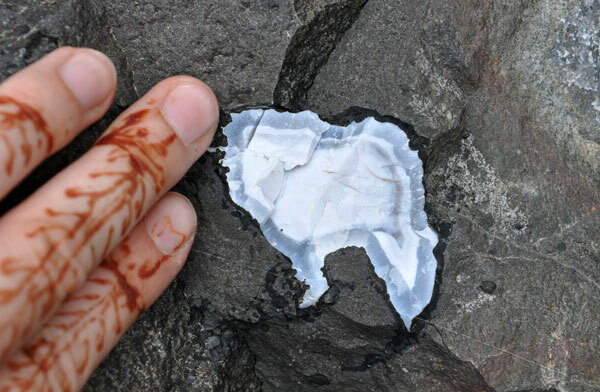 Then we moved to Jalgaon the most famous locality in whole India, it is incredible to see all those geodes in the wall of quarry - India is probably the only place where you can do that so easily. 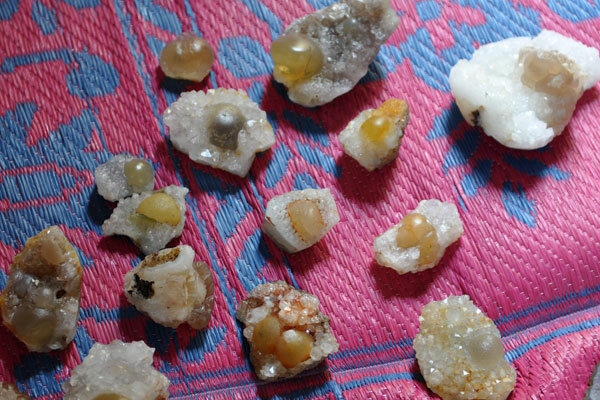 We left Jalgaon and Maharstra and arrived to Burhanpur in Madhya Pradesh - it turned out to be a very nice city with beautiful XVIth century mosk and the main temple of Bohra sect - The next day we visited quarries where the quartz with fluorites are sometimes found. After that we went to see some touristic site - Mandu. It is a beautiful, very big, well preserved ancient town that was first built in 6th century and abandoned finally in 17th century. It is completly unknown by foreigners but it turned out to be the main place of interest for the Indian turists and because we were there on the day of Independence in India this normally very peceful little town looked like a center of Mumbay. After that we left to Dulha visiting on the way: a new locality for fluorites - a very big area covered with agates, quartz and amethistes sometimes with fluorites, Shirdi - where we saw the incredible Sai Baba Temple where 50.000 people come everyday to see his golden sculpture, Shirdi quarries where the amethiste with okenite occurs and Yeola quarry where the best powellites come from. 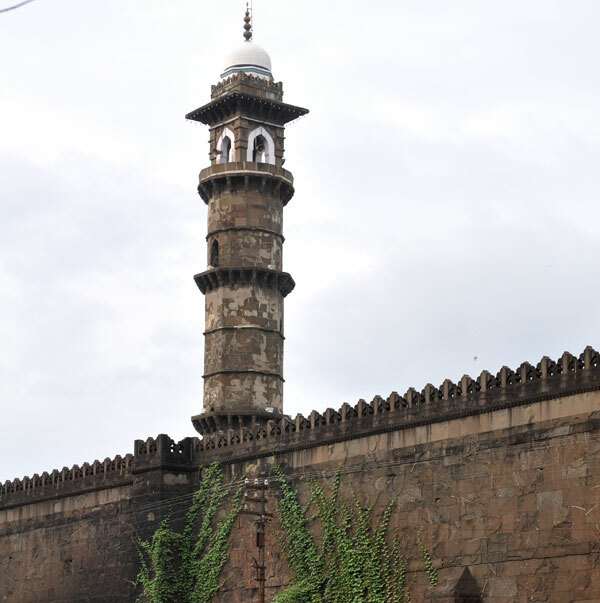 After that we arrived to Ahmednagar and we went back to Bombay visiting Lonavala and Wagholi once more on the way. 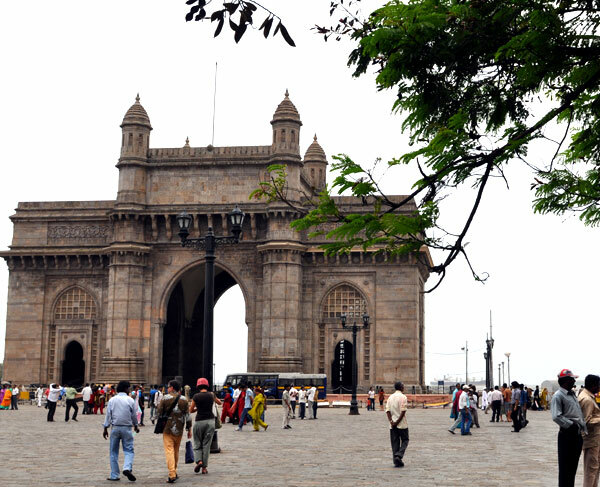 Bombay - the city of contrasts. Fot. J. Gajowniczek. 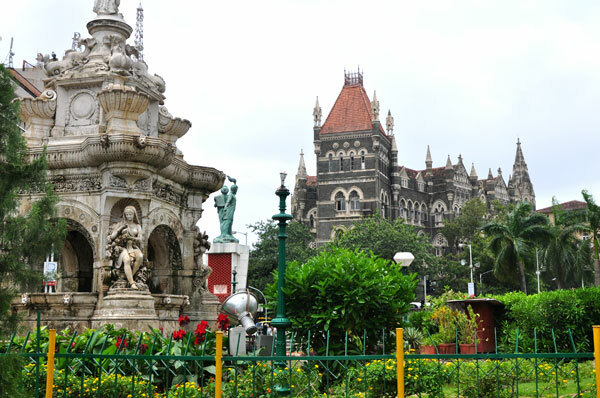 `The Gate of India`, Bombay, Colaba. Fot. J. Gajowniczek. 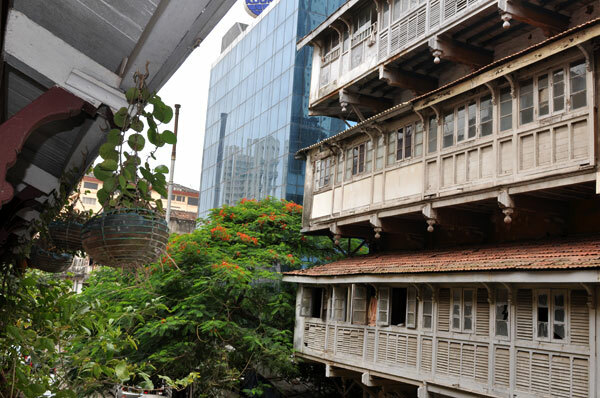 Bombay, Colaba (it is a very nice part of the city unlike the rest of it). Fot. J. Gajowniczek. 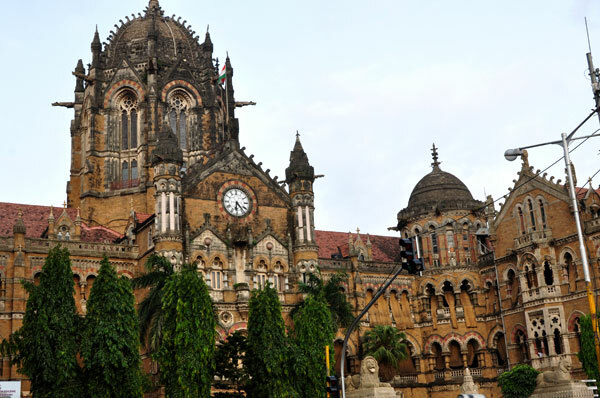 XIX century building of Victoria Terminus - a historic railway station in Bombay that serves as the headquarters of the Central Railways. Fot. J. Gajowniczek. 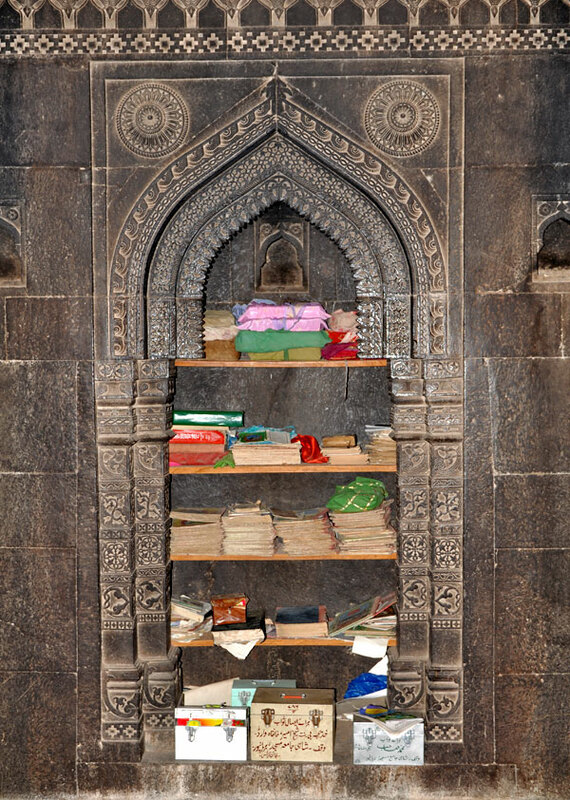 Typical view in the Deccan Trapps. Fot. J. Gajowniczek. 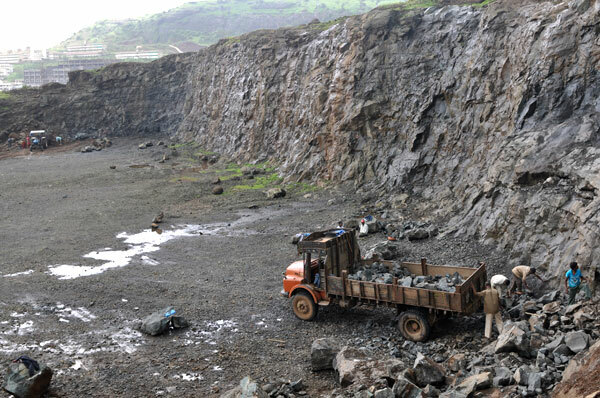 View to the Lonavala Quarry. Fot. J. Gajowniczek. 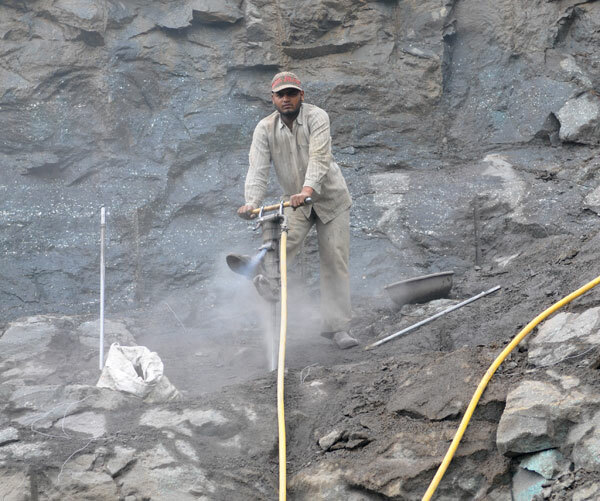 Drilling the holes for putting dynamite, Lonavala Quarry. Fot. J. Gajowniczek. 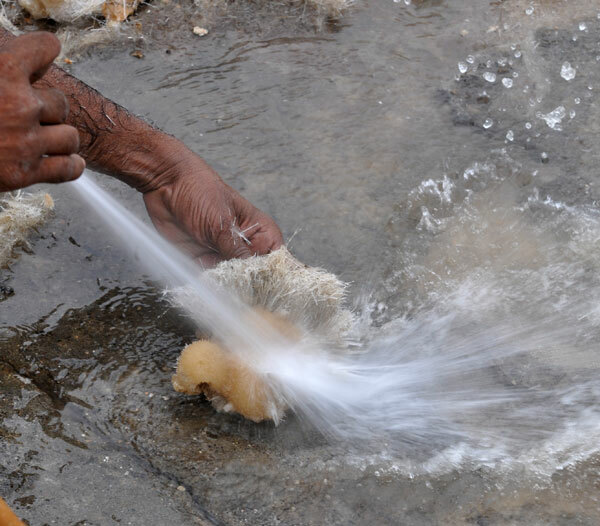 Miner preparing dynamite before blasting. Fot. J. Gajowniczek. 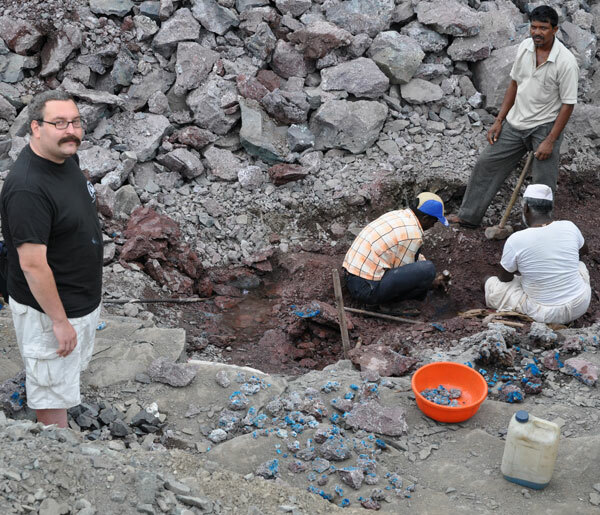 Tom and a geode in Lonavala Quarry. Fot. J. Gajowniczek. 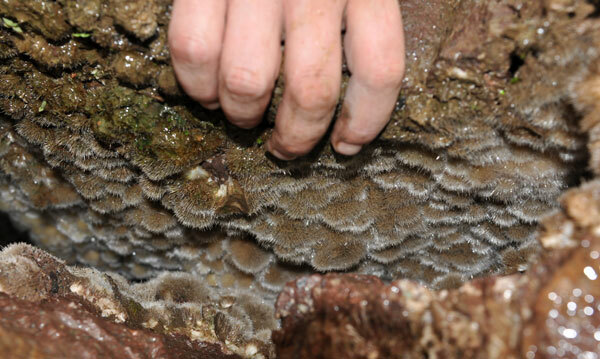 Colse-up of a geode in Lonavala Quarry`s wall. Fot. J. Gajowniczek. 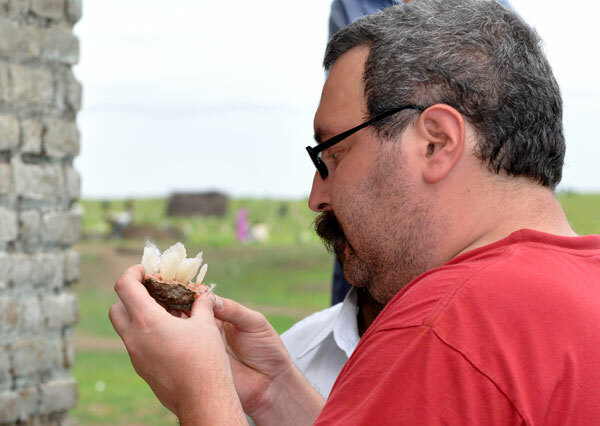 Tom trying to take out some specimens from the gode shown above in close-up. Fot. J. Gajowniczek. 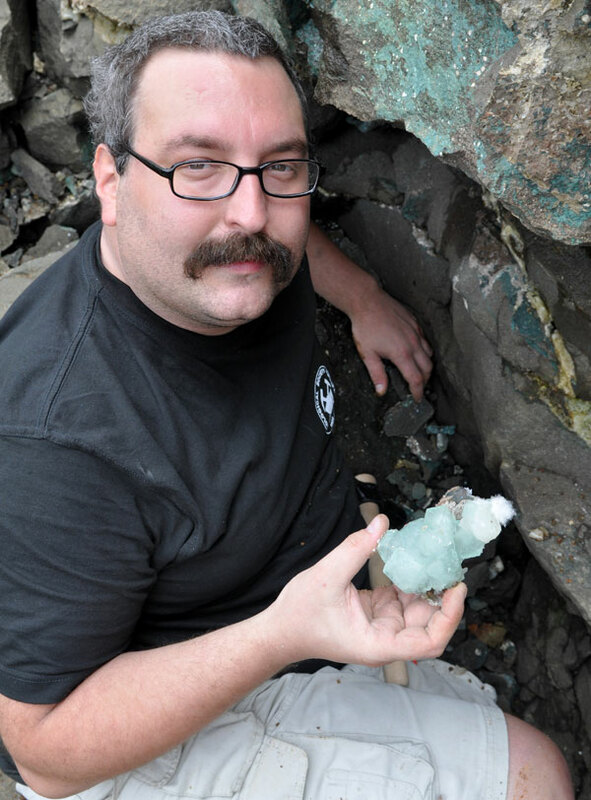 Tom and the specimen he managed to take out from the same geode. Fot. J. Gajowniczek. 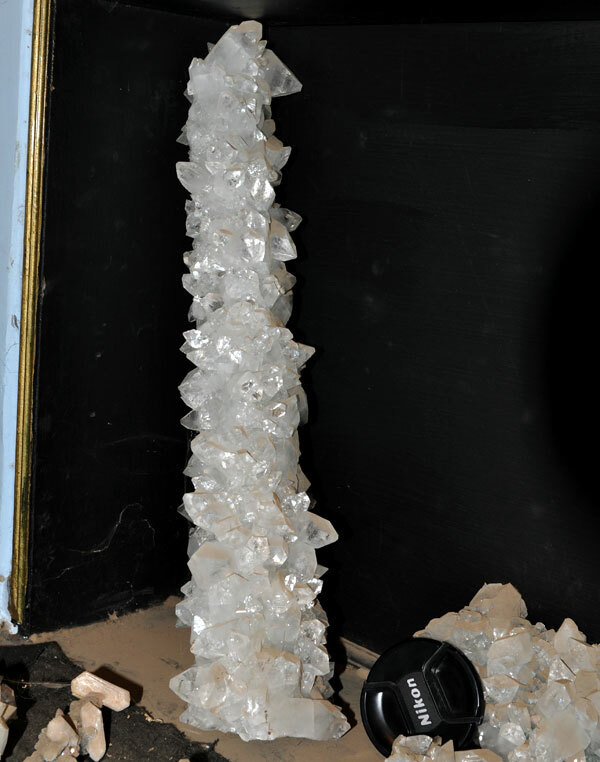 Gigant specimen of mesolite, calcite and stilbite from Lonavala Quarry. Fot. J. Gajowniczek. 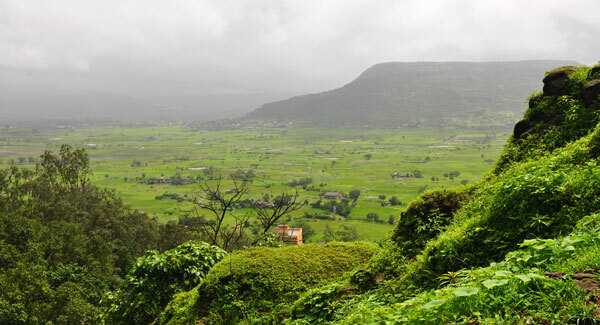 View from the Karla Caves, near Lonavala. Fot. J. Gajowniczek. 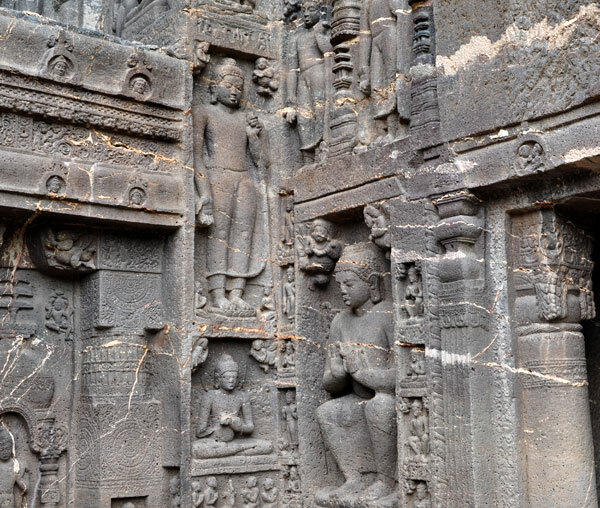 Karla Caves - complex of ancient Buddhist Indian rock-cut architecture caves shrines built over the period of 3rd to 2nd century B.C. J. Gajowniczek. 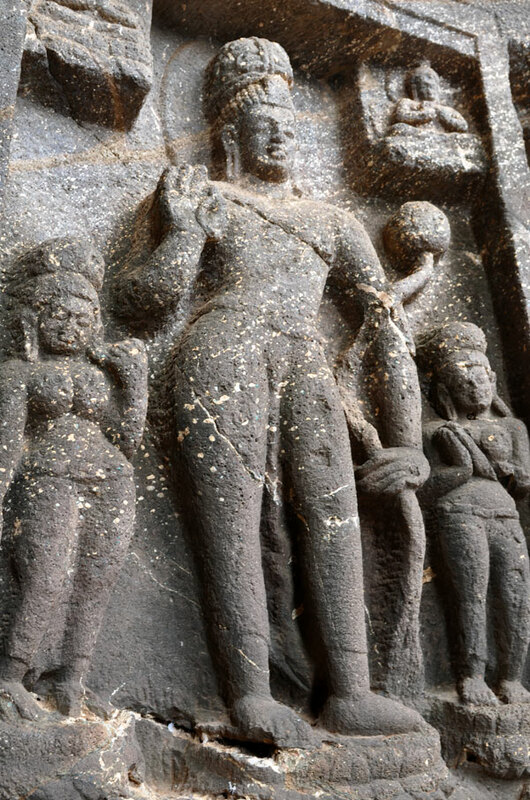 Sculptures in basalats, Karla Caves, notice the goede near right foot. J. Gajowniczek. 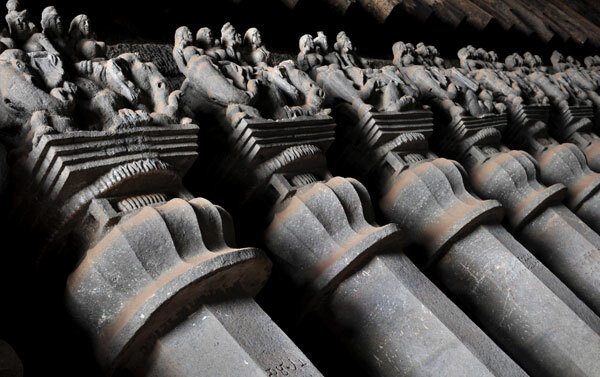 Sculptures in basalts, Karla Caves. Fot. J. Gajowniczek. 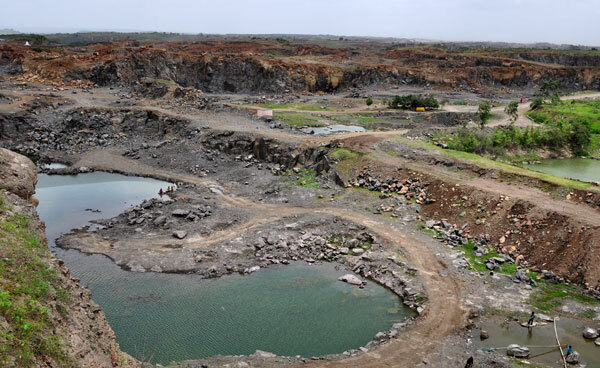 View to the Wadgaon Quarry. Fot. J. Gajowniczek. 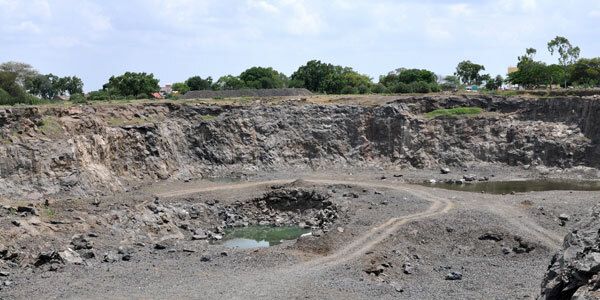 Wadgaon Quarry. Fot. J. Gajowniczek. 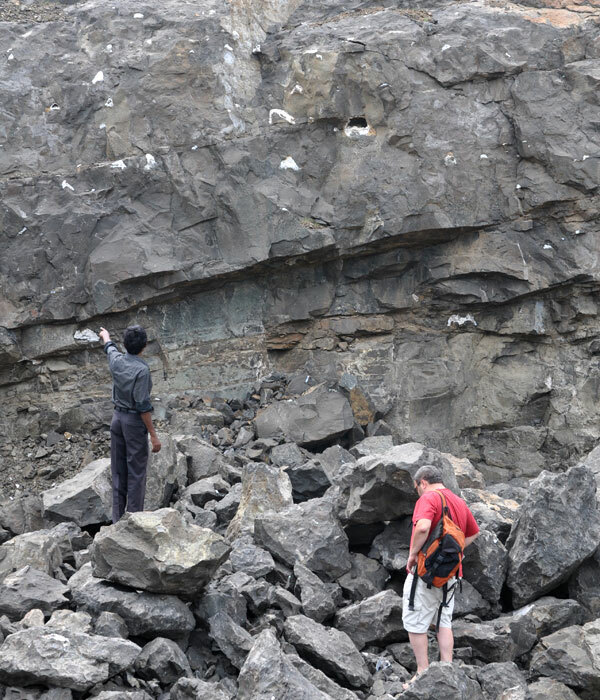 Examining one of the numerous pockets in Wadgaon Quarry. Fot. J. Gajowniczek. 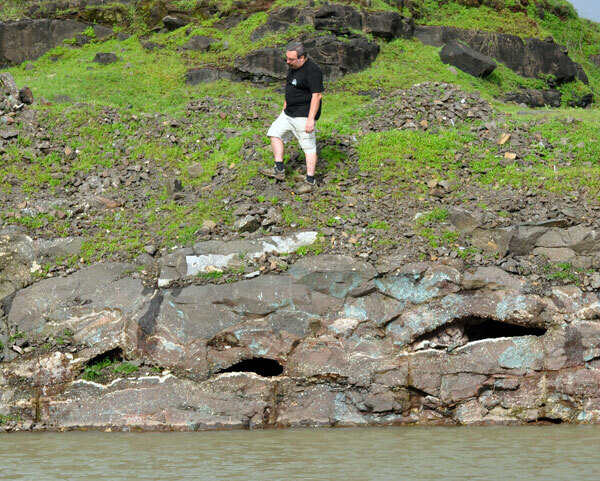 Tom and pockets in the Wadgaon Quarry. Fot. J. Gajowniczek. 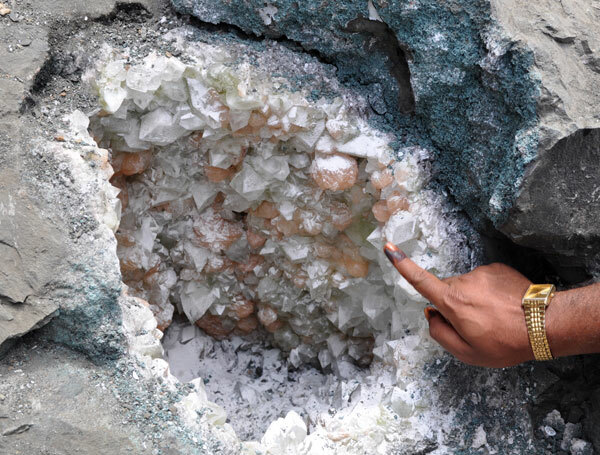 About 1,5 m big geode with green apophylite and stilbite in Wadgaon Quarry. Fot. J. Gajowniczek. 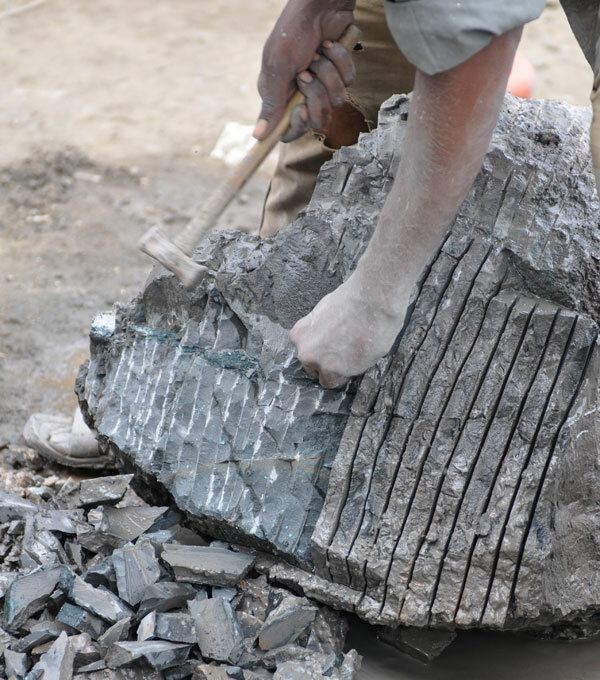 Close-up of the goede from the previous photo, Wadgaon Quarry. Fot. J. Gajowniczek. 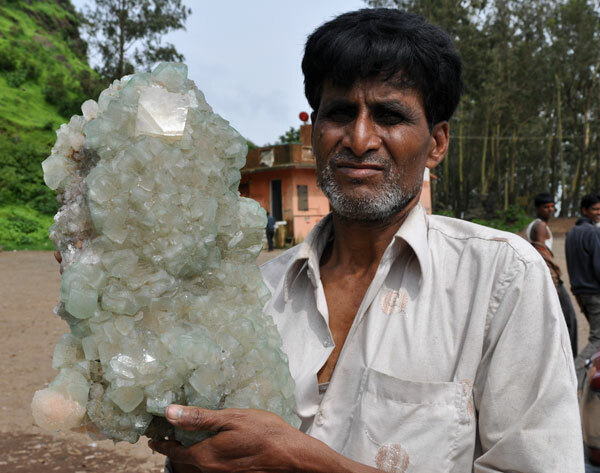 A local dealer showing a specimen of calite with apophyllite from the Wadgaon Quarry. Fot. J. Gajowniczek. Tom in the Indori Quarry, near Talagaon. Fot. J. Gajowniczek. 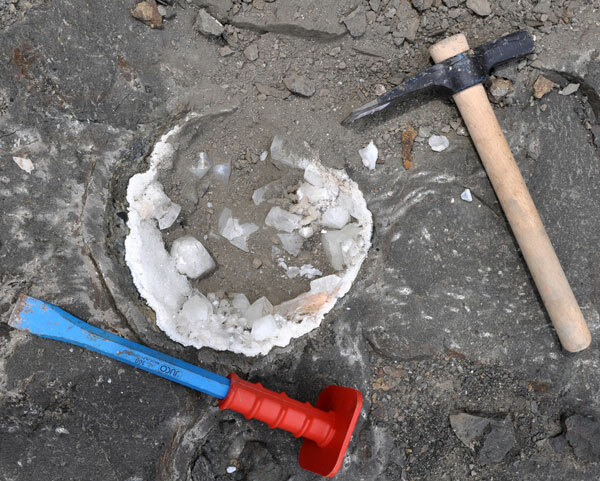 Geode filled with very dirty okenite, Indori Quarry. Fot. J. Gajowniczek. 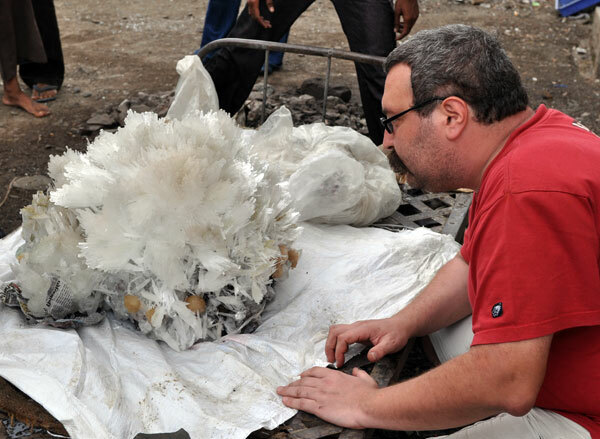 Specimen found in the Indori Quarry. Fot. J. Gajowniczek. 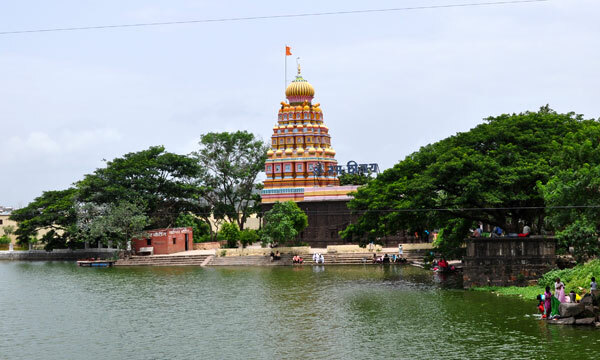 Colorful Hindu Temple near the Wagholi Quarry. Fot. J. Gajowniczek. View to the Wagholi Quarry. Fot. J. Gajowniczek. 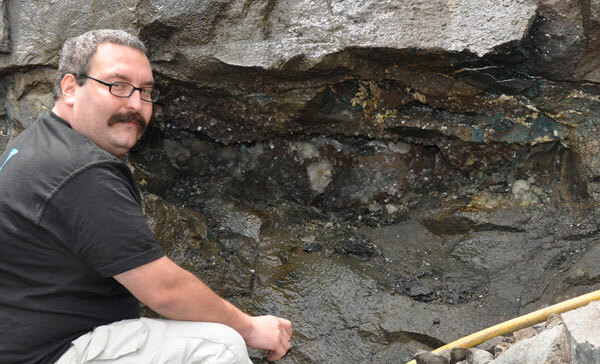 Tomek in the Wagholi Quarry with newly extracted, good quality cavansites. Fot. J. Gajowniczek. 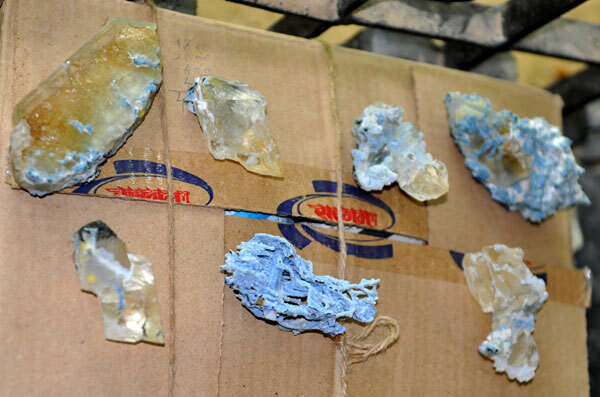 Miners and cavansites freshly taken out, Wagholi Quarry. Fot. J. Gajowniczek. 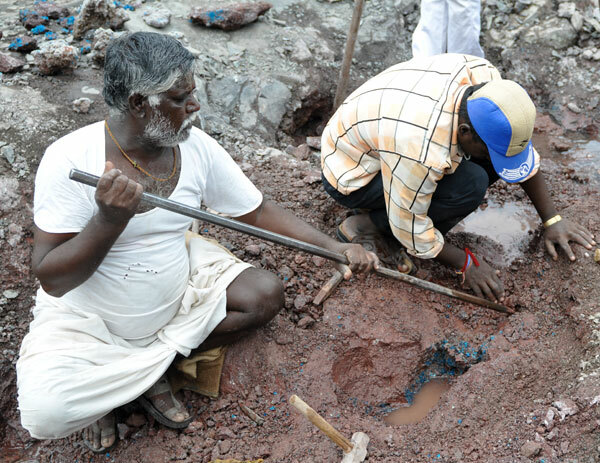 Miners extracting the cavansites, Wagholi Quarry. Fot. J. Gajowniczek. 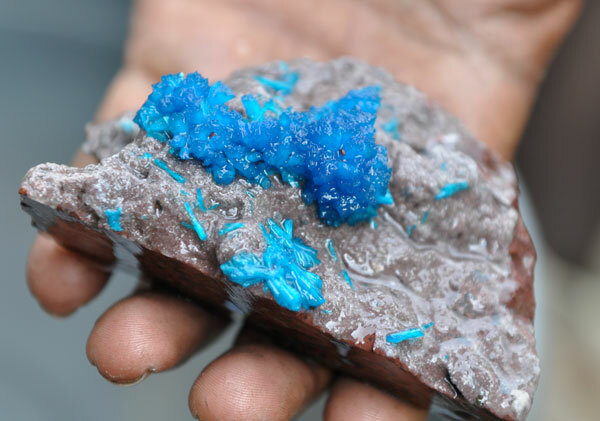 Extracting of cavansites, Wagholi Quarry. Fot. J. Gajowniczek. 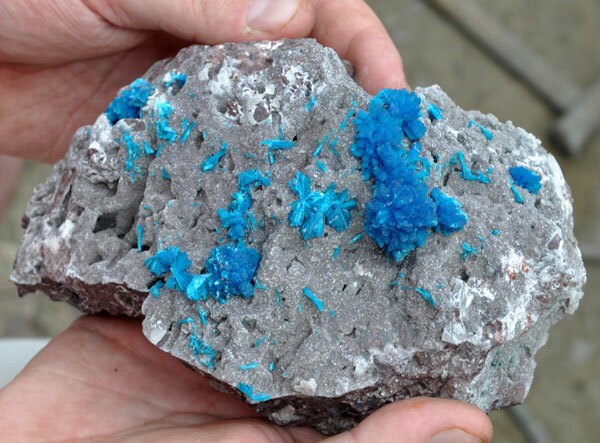 Miner selling cavansites. Fot. J. Gajowniczek. 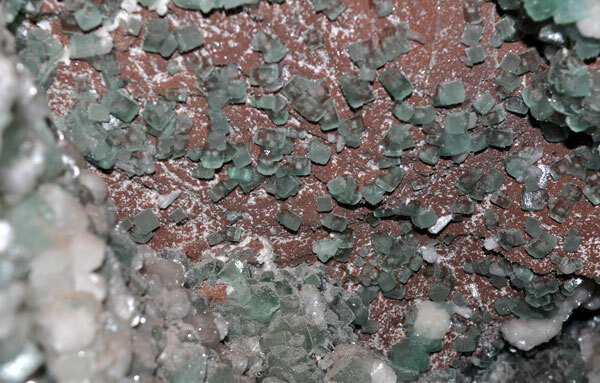 Close-up of some cavansites. Fot. J. Gajowniczek. 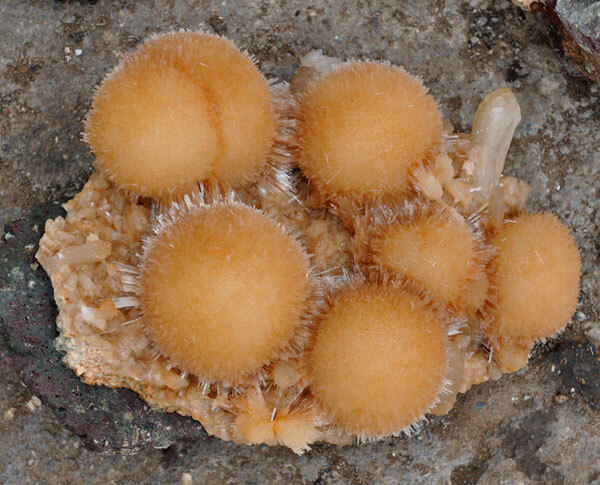 Pentagonites from Wagholi. Fot. J. Gajowniczek. 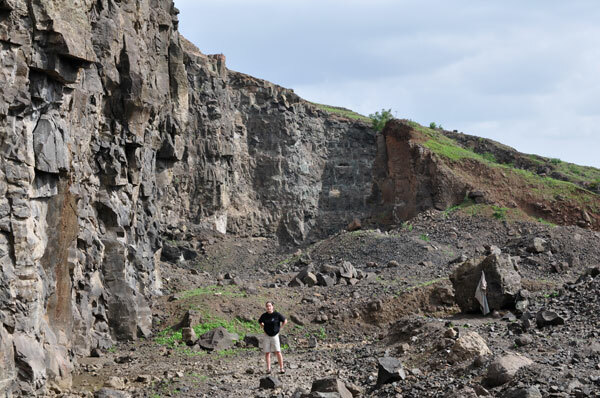 Me in the Aurangabad Quarry. Fot. T. Praszkier. 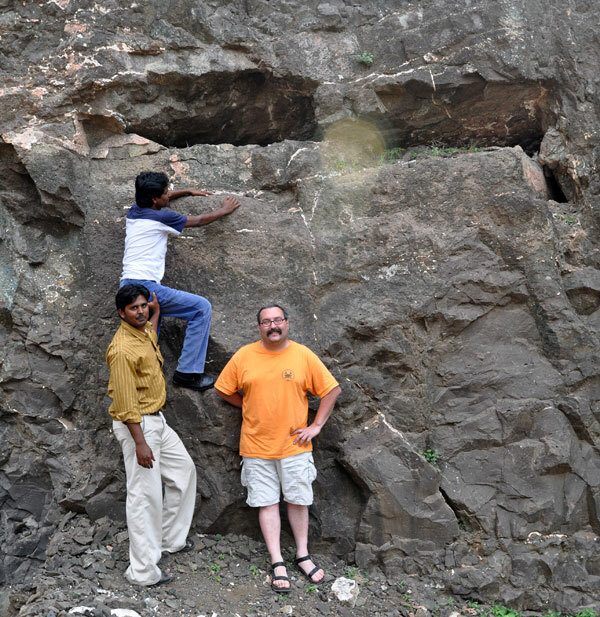 Tom, Javed trying to climb to the geode, and his friend in Aurangabad Quarry. Fot. J. Gajowniczek. 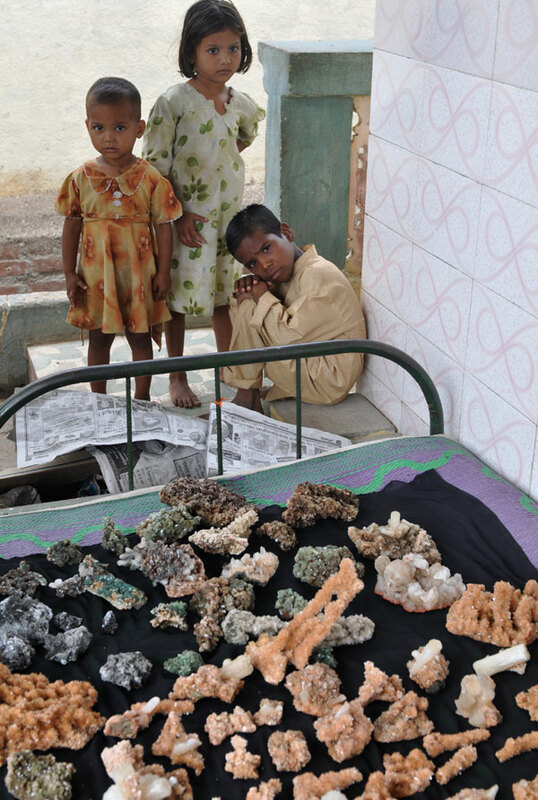 Stilbites from Aurangabad Quarry. Fot. J. Gajowniczek. 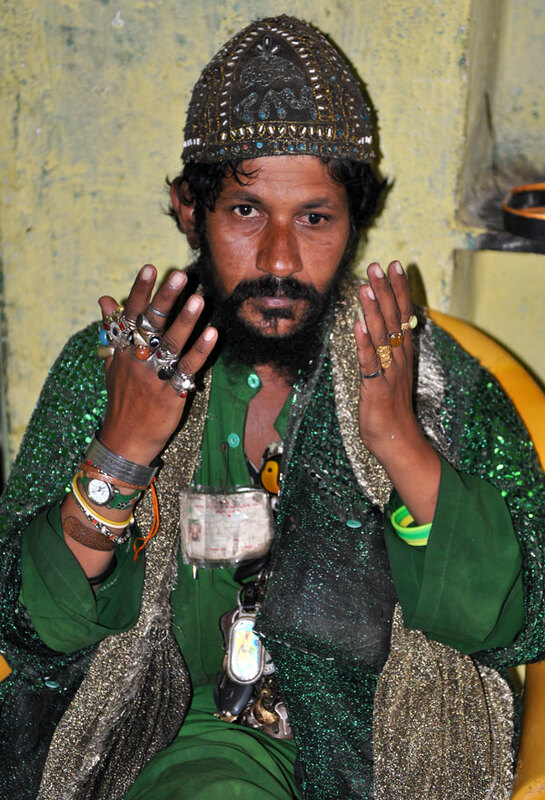 Me, our friend Javed and our driver Munna eating supper in Javed`s home in Ajanta. Fot. T. Praszkier. 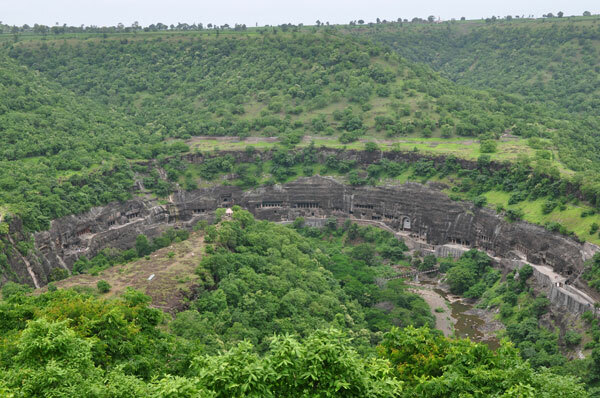 Famous Ajanta Caves - rock-cut Buddhist cave monuments dating from the second century B.C., the most beautiful in whole India. Fot. J. Gajowniczek. 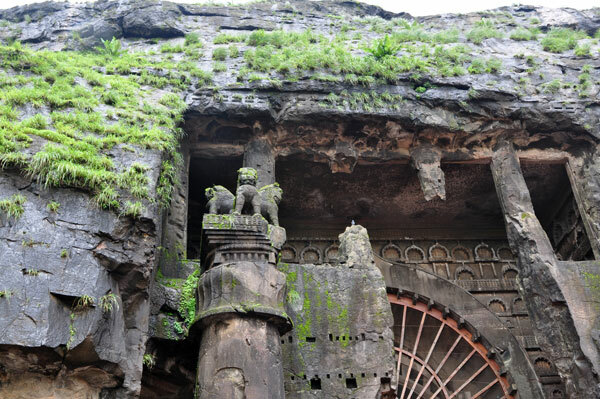 Sculptures with agates` veins in Ajanta caves. Fot. J. Gajowniczek. 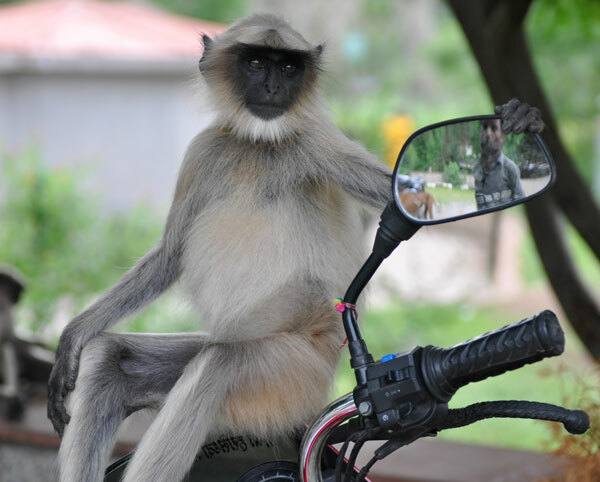 Monkey on the motocycle near the entrance to the Ajanta Caves. Fot. J. Gajowniczek. 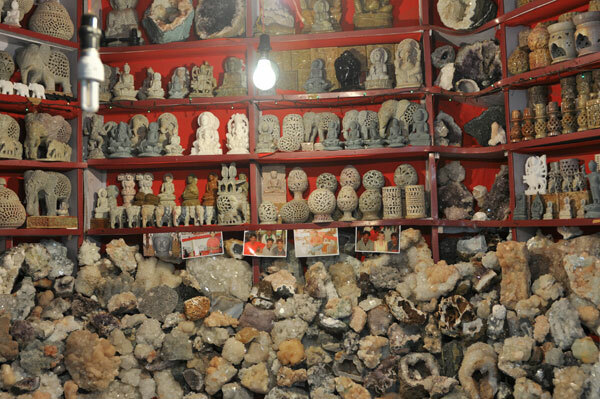 One of the souvenirs shop with minerals next to the entrance to the Ajanta caves. Fot. J. Gajowniczek. 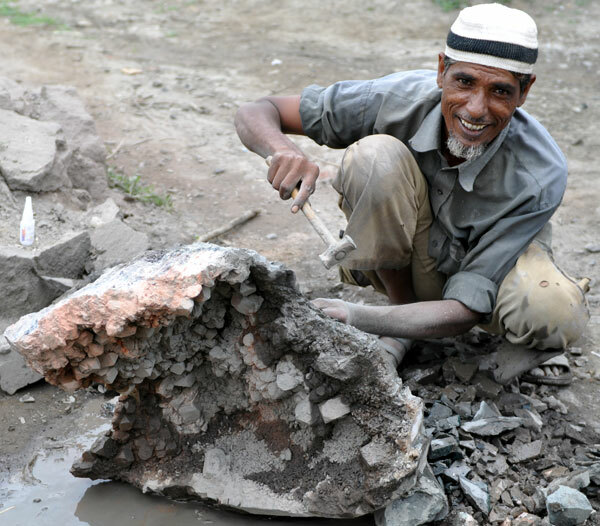 Tom and the gigant scolecite, Ajanta. Fot. J. Gajowniczek. 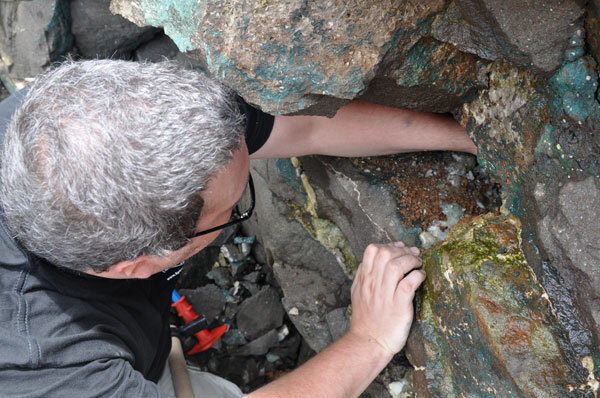 Tom examining a funny specimen of some interesting calcites glued into matrix. Fot. J. Gajowniczek. 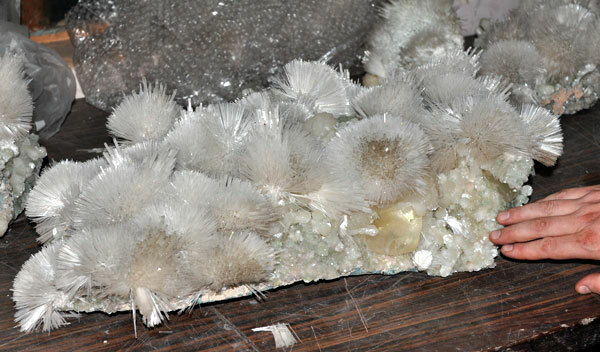 Funny specimen of some interesting calcites glued into matrix. Fot. J. Gajowniczek. 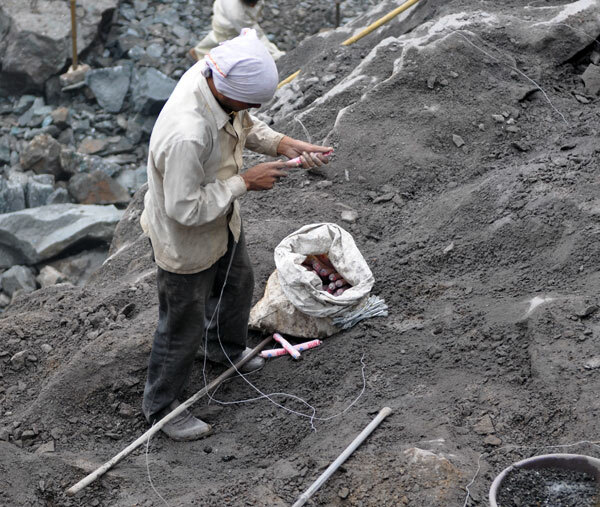 Cavansite trimming in Ajanta. Fot. J. Gajowniczek. Specimen before trimming. Fot. J. Gajowniczek. 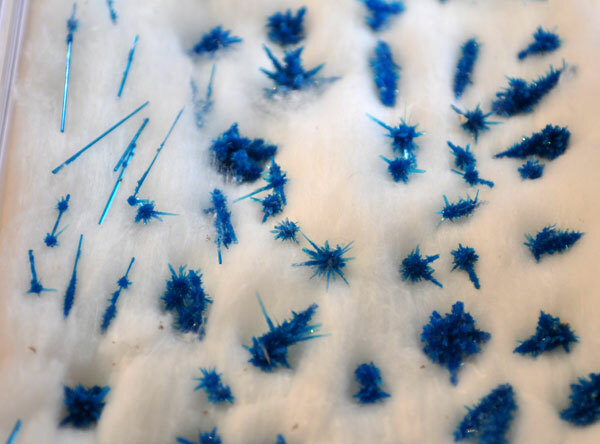 Cavansite after trimming. Fot. J. Gajowniczek. 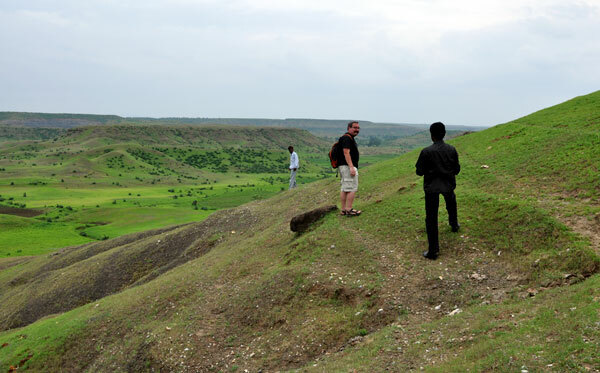 View to the Jalgaon Quarry. Fot. J. Gajowniczek. 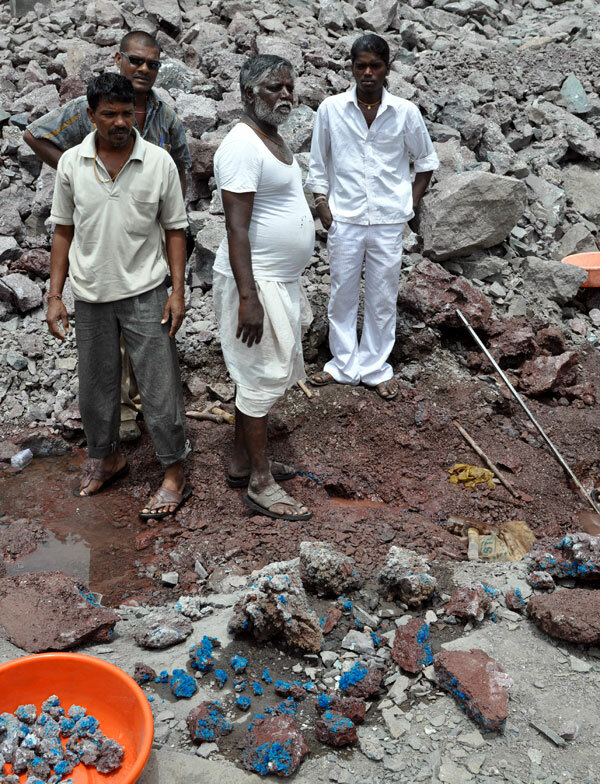 Miners in the Jalgaon Quarry having a break. Fot. J. Gajowniczek. 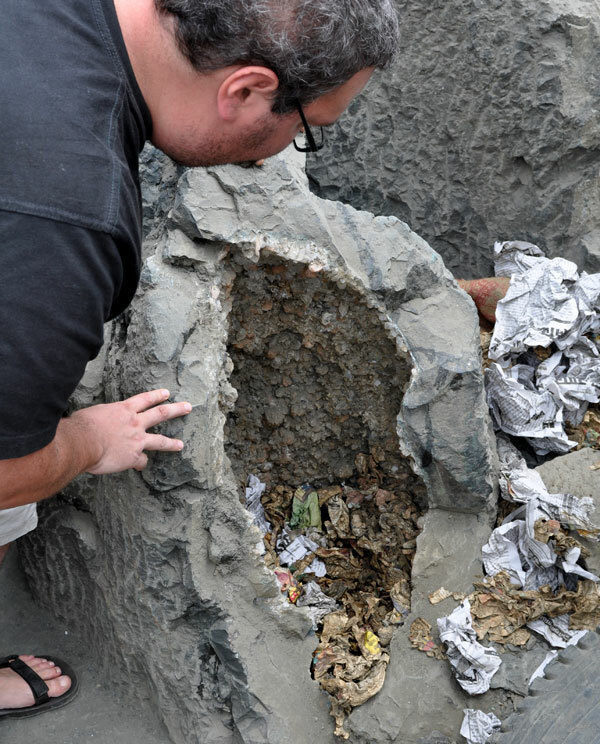 Tom and a big geode inn Jalgaon Quarry. Fot. J. Gajowniczek. 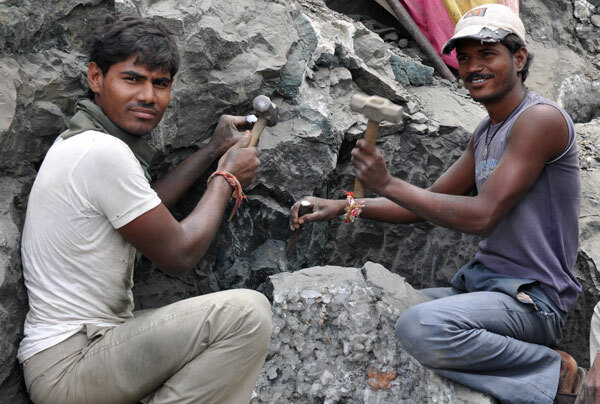 Miners cutting out a big geode in Jalgaon Quarry. Fot. J. Gajowniczek. 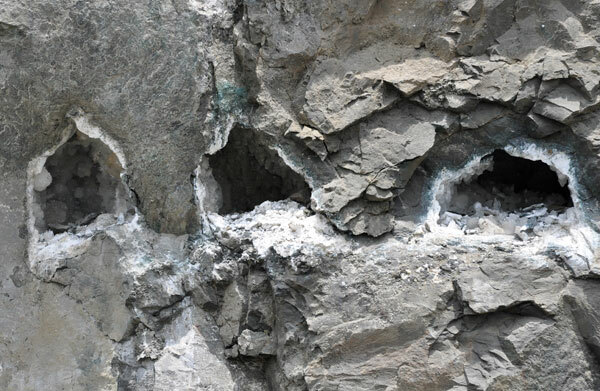 Geode with green apophylite and stilbite in Jalgaon Quarry. Fot. J. Gajowniczek. 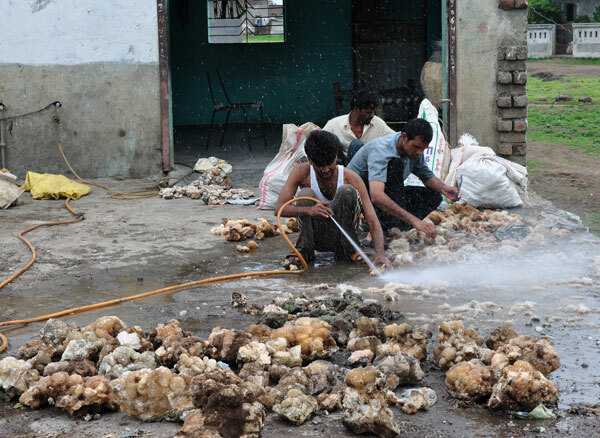 Geodes in Jalgaon Quarry. Fot. J. Gajowniczek. 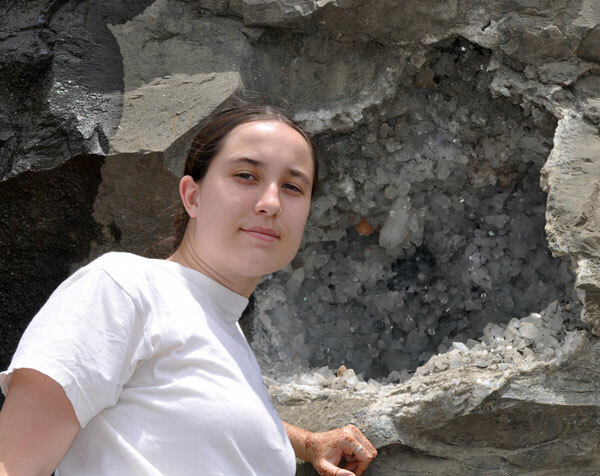 Me and a geode in Jalgaon Quarry. Fot. 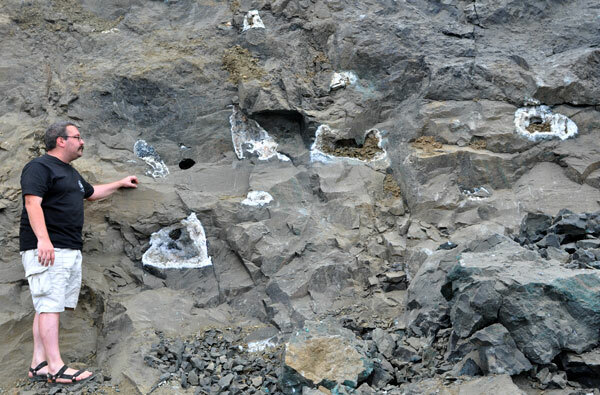 T. Praszkier..
Tom with numerous geodes, Jalgaon Quarry. Fot. J. Gajowniczek. 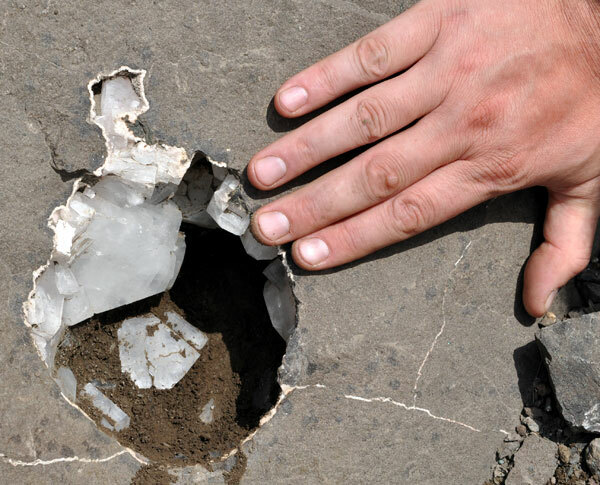 Geode in Jalgaon Quarry`s wall. Fot. J. Gajowniczek. 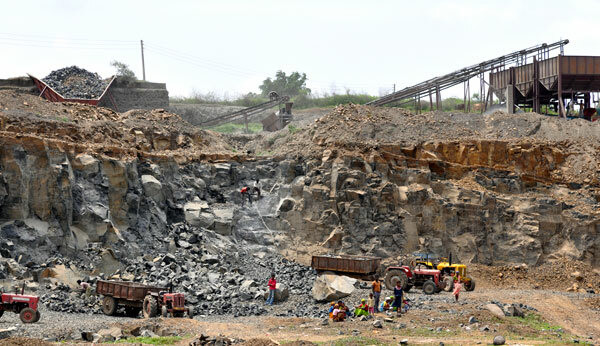 Reducing the size of a geode from Jalgaon Quarry. Fot. J. Gajowniczek. 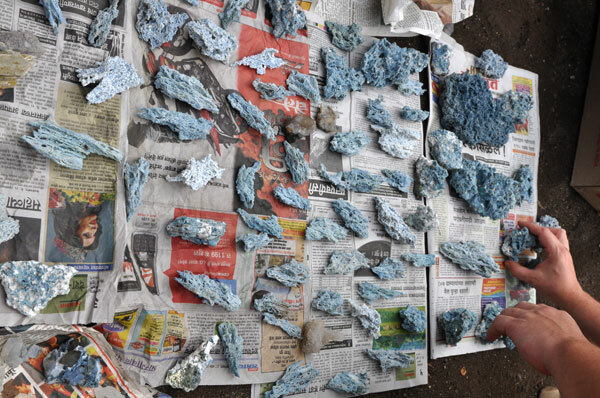 Apophylite from Jalgaon Quarry. Fot. J. Gajowniczek. 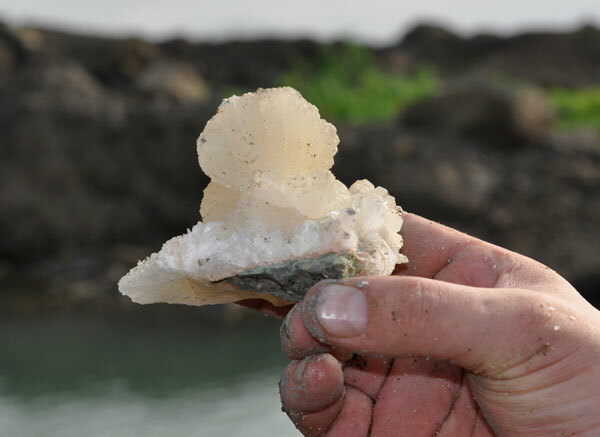 Calcite from the Jalgaon Quarry. Fot. J. Gajowniczek. 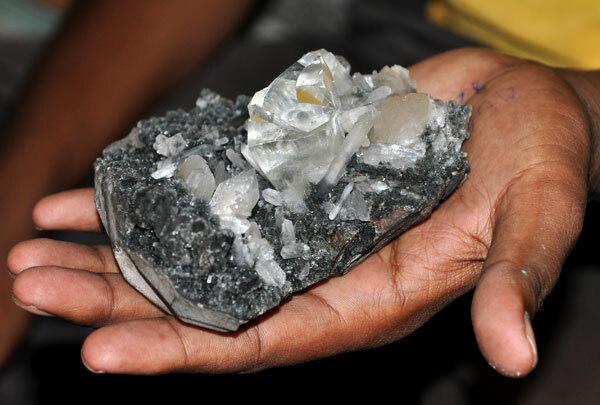 Powellite from the Jalgaon Quarry. Fot. J. Gajowniczek. 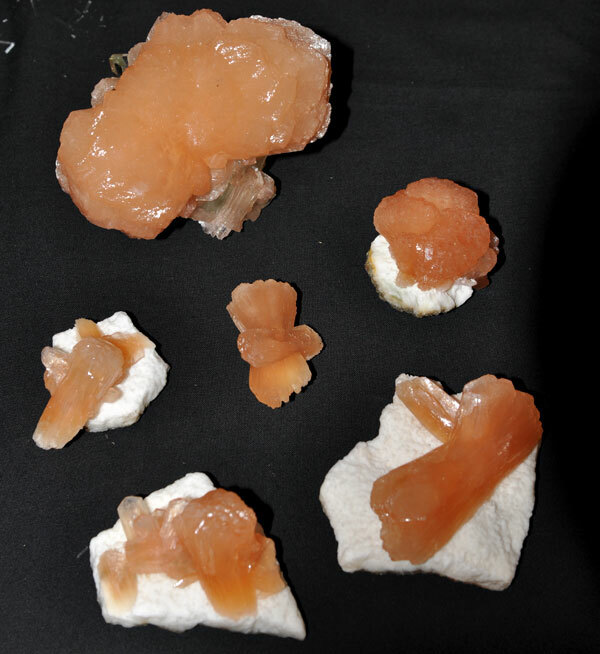 Heulandite from the Jalgaon Quarry. Fot. J. Gajowniczek. 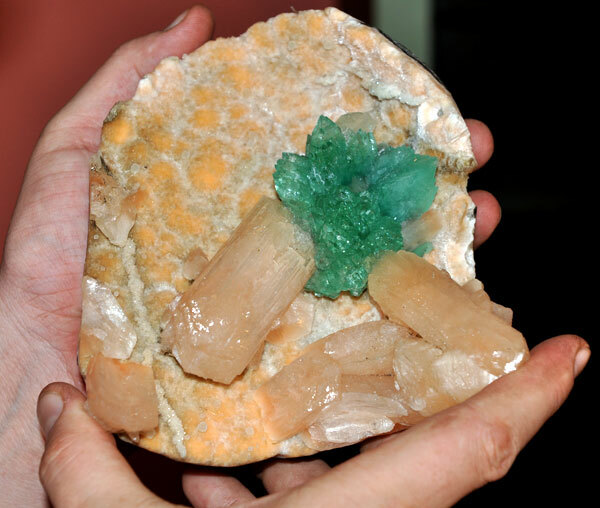 Green apophylite and stilbite from the Jalgaon Quarry. Fot. J. Gajowniczek. 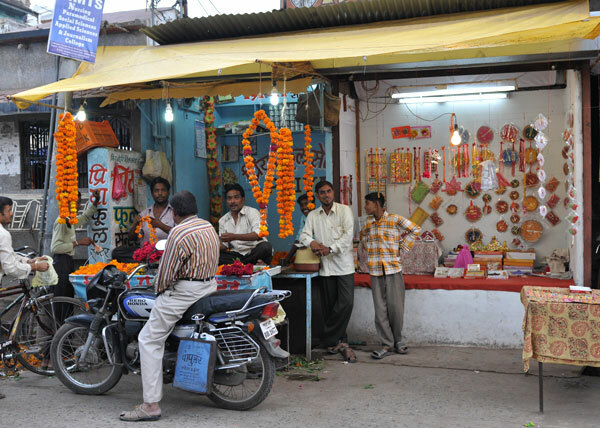 Streets of Burhanpur. Fot. J. Gajowniczek. 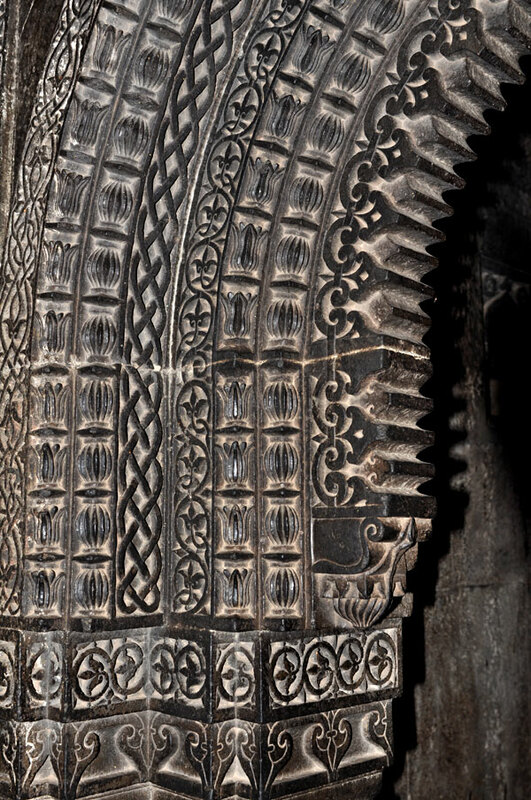 Sculptures in basalt inside the mosk in Burhanpur. Fot. J. Gajowniczek. 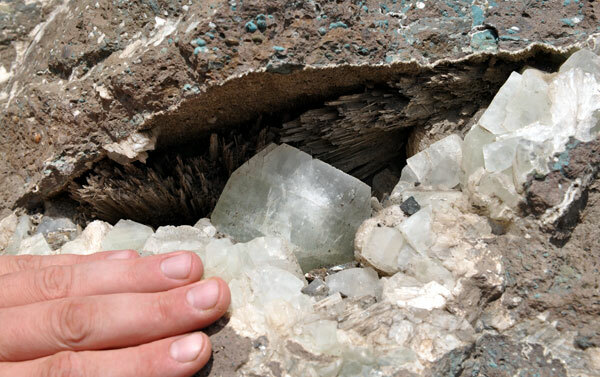 Quarry near Buranphur - new locality for the fluorite on quartz. Fot. J. Gajowniczek. 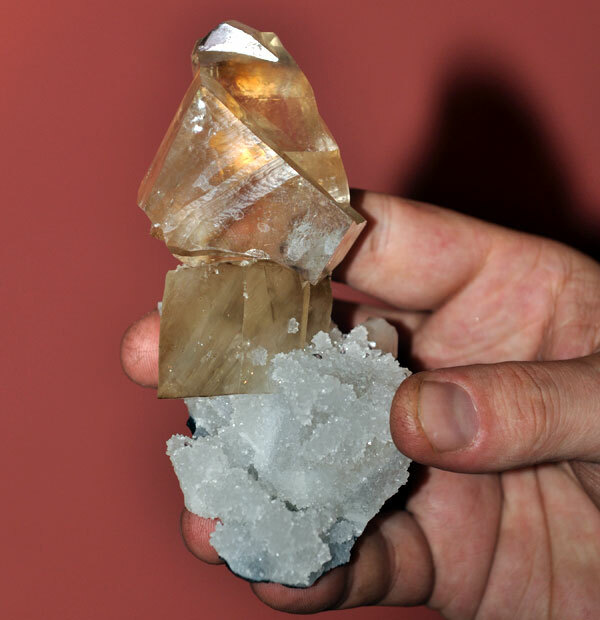 Fluorites from the Buranphur area. Fot. J. Gajowniczek. 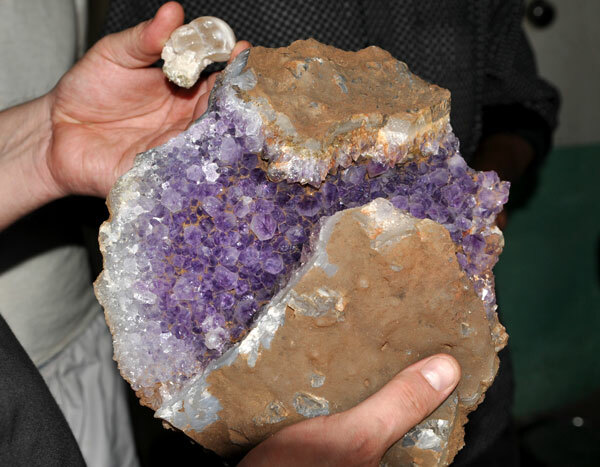 Fluorite from the Buranphur area. Fot. J. Gajowniczek. Tom and Javed in Lingi Fata Quarry. Fot. J. Gajowniczek. 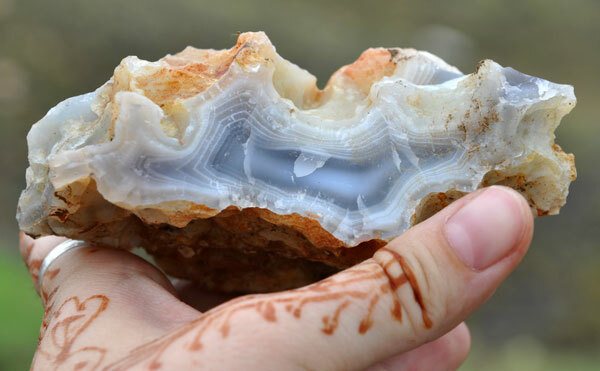 Agate in Lingi Fata Quarry. Fot. J. Gajowniczek. 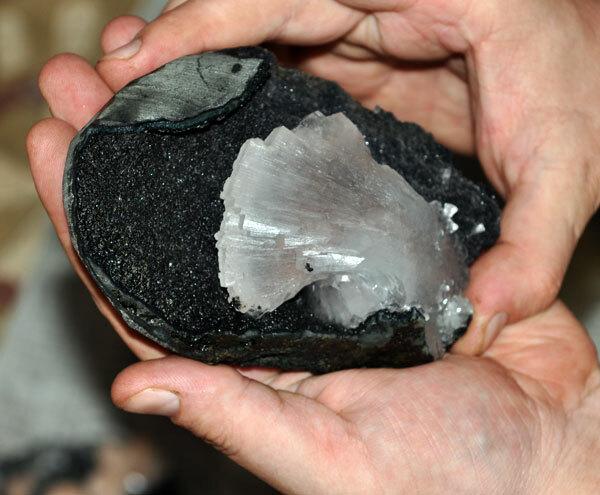 Quartz geode in Lingi Fata Quarry . Fot. J. Gajowniczek. 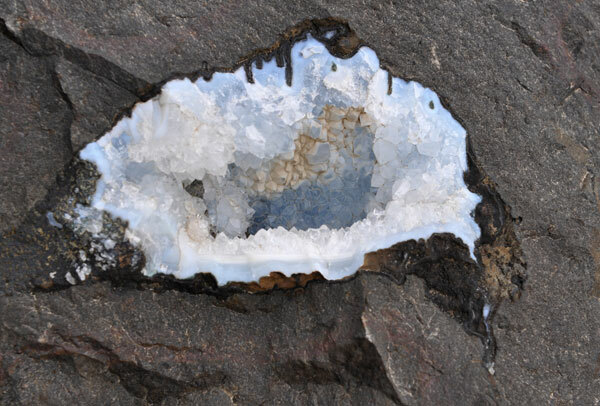 Apophylite geode in Lingi Fata Quarry. Fot. J. Gajowniczek. 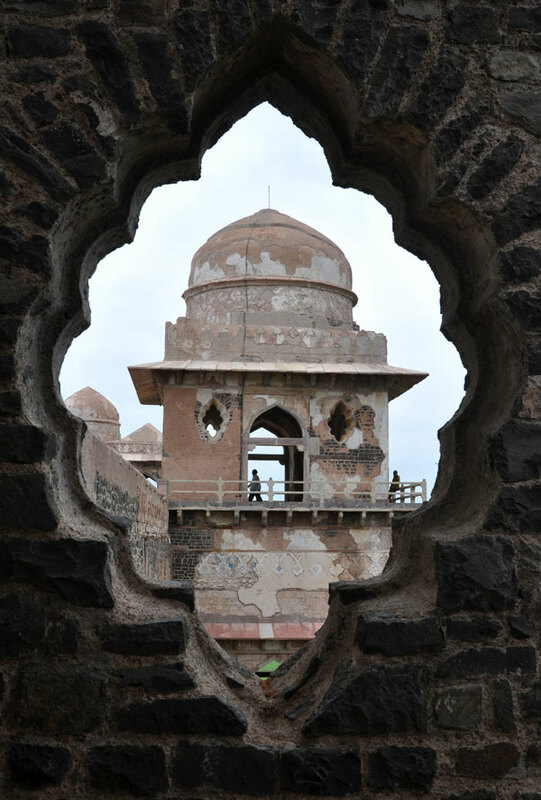 View to the Deccan Trapps, Mandu. Fot. J. Gajowniczek. 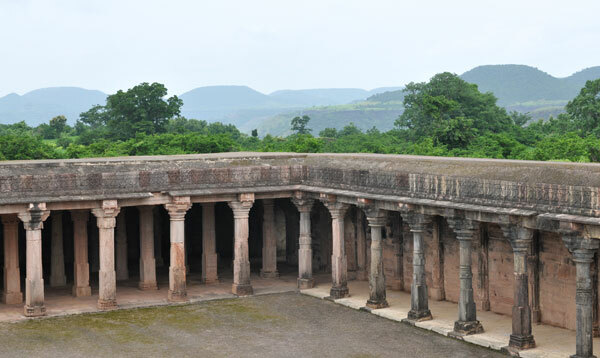 Part of the ancient city of Mandu (city built between VI and XVII century). Fot. J. Gajowniczek. 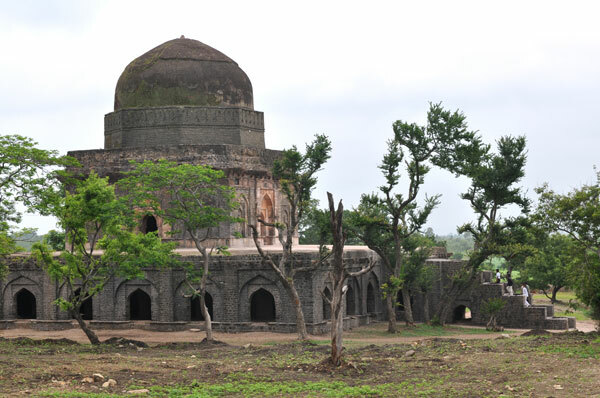 Mosk in the ancient city of Mandu (city built between VI and XVII century). Fot. J. Gajowniczek. 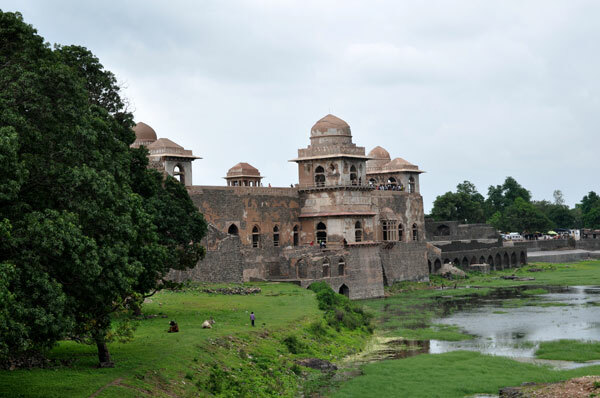 The ancient city of Mandu (city built between VI and XVII century). Fot. J. Gajowniczek. 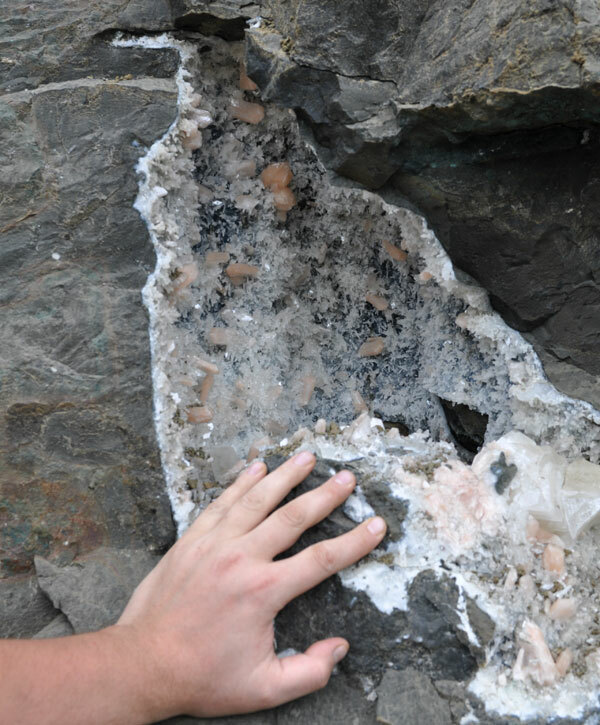 Locality for Fluorites on amethiste - notice the layer with agates and quartzes lying on the ground (white spots). Fot. J. Gajowniczek. 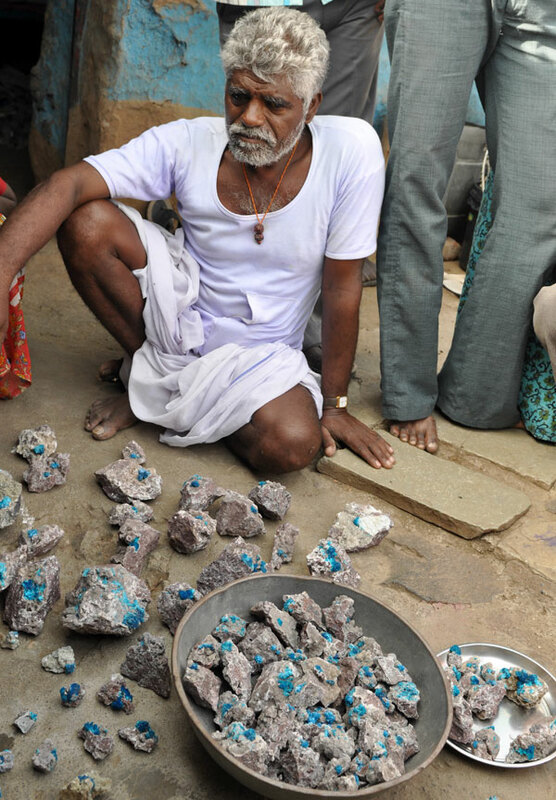 Men from the near village presenting how he is looking for the fluorites. Fot. J. Gajowniczek. 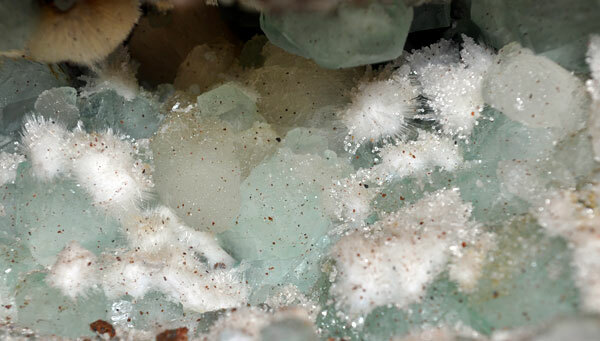 Fluorite and amethiste from the locality pictured above. Fot. J. Gajowniczek. 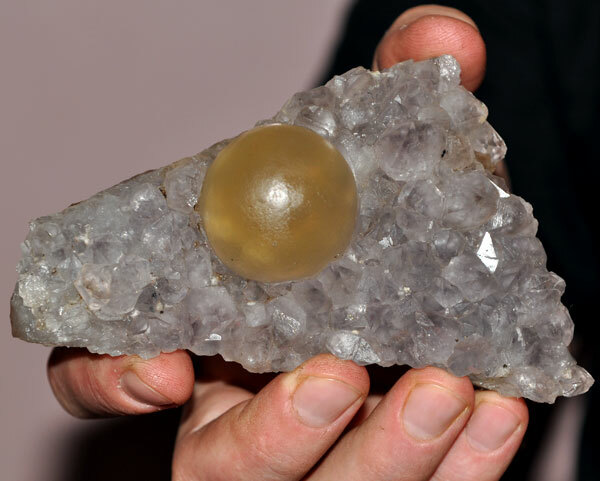 Agate from the locality pictured above. Fot. J. Gajowniczek. 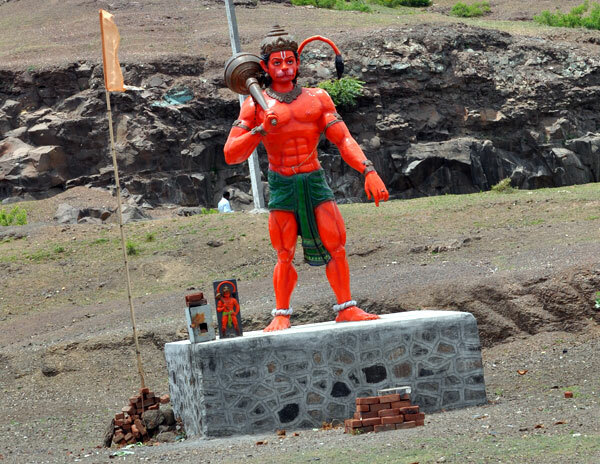 Typical example of hindu goods-sculptures.This is Hanuman. Fot. J. Gajowniczek. The Yeola Quarry where the best powellites come from. Fot. J. Gajowniczek. 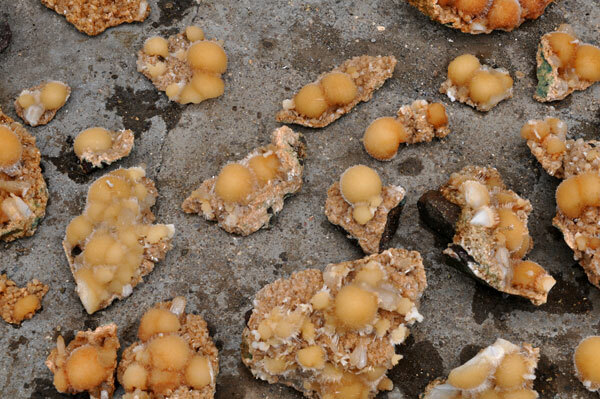 Geode with apophylite in Yeola Quarry. Fot. J. Gajowniczek. 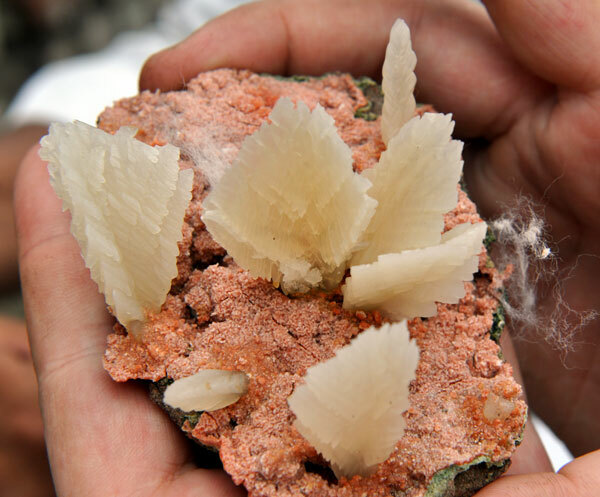 Apophylite and scolecite in Yeola Quarry. Fot. J. Gajowniczek. 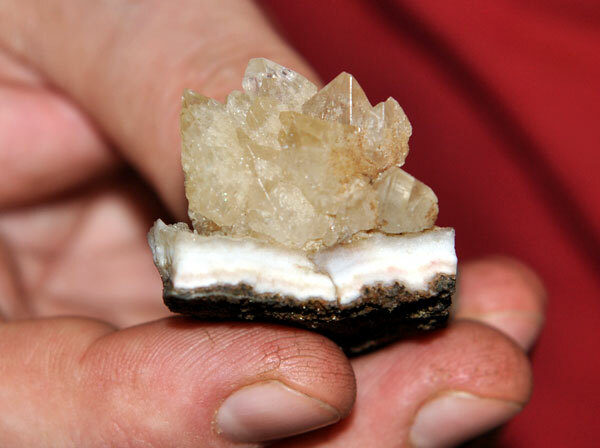 Powellite from the Yeola Quarry. Fot. J. Gajowniczek. 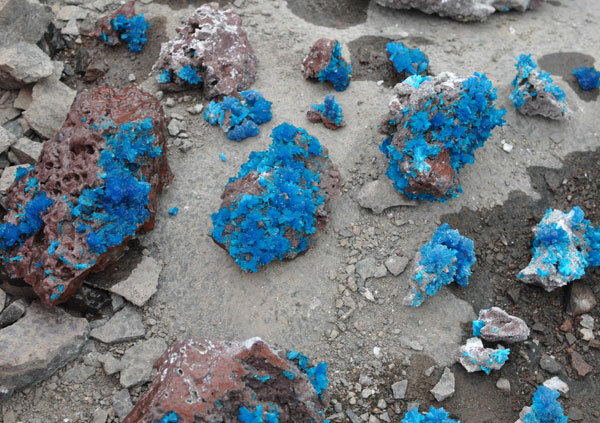 Its so great to see the minerals in thier natural state. please please consider making DVD`s of your adventures, in Enlish if possible as I would love to buy them. 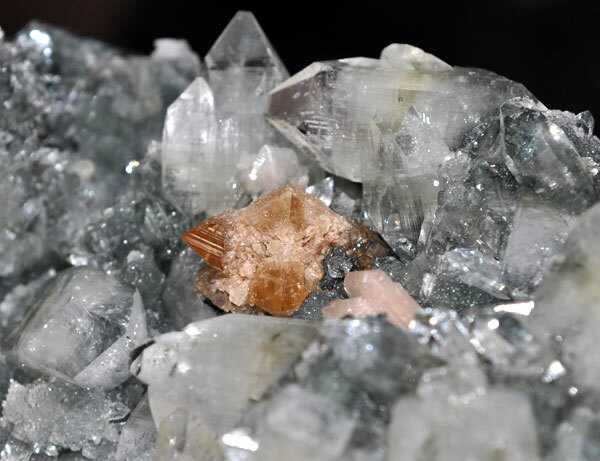 I am a mineral collector, have been since I could walk, I think and breathe minerals all the time, we have a huge collection and when we travell I just like to watch mineral DVD`s on my PC. 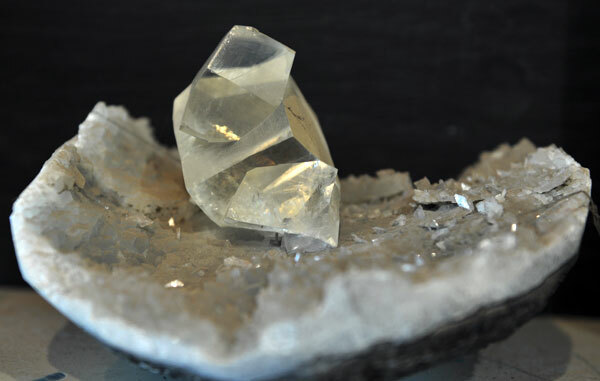 We go to your site all the time ,and as your photos are beautiful, I have to admit I flash straight to the minerals you have collected,as I share your joy in finding them. Please think about it the DVD`s. kind regards LINDA.